For decades, John Travolta has been one of Hollywood’s top names. Since he blazed a trail in such iconic movies as Saturday Night Fever and Grease, Travolta has continued to build a varied portfolio, experimenting with diverse genres. He’s performed in comedies, dramas, science-fiction, musicals and even high-octane action flicks like Face / Off. Still, like many an actor who graces the big screen at a young age, Travolta has aged in public. Mainstream audiences have seen him grow from the lithe young dancer into the older man he is today. This can be a hard thing to live with, especially when the media subjects your wrinkles and weight gain to close scrutiny at every opportunity. Hair loss is another area the newspapers and gossip websites focus on, and it may be the most sensitive area of all. It’s no secret that Travolta had been balding for years. A simple Google image search will deliver dozens of images capturing his receding hairline, and it’s certainly a drastic change to the slick style of Danny Zuko in Grease. This is, without doubt, John Travolta’s most widely-known role, and the thick, immaculate hair is a crucial element of his look. 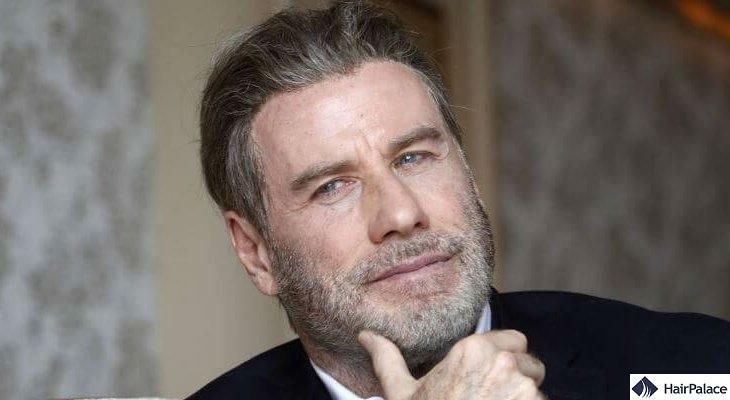 Travolta has worn a number of hairpieces on screen as he’s aged, but he’s now sporting a healthy head of natural locks thanks to the most effective solution: a hair transplant. Like many men before and after, the Hollywood star invested in professional hair restoration surgery to restore his hairline. This is an effective technique capable of transforming the patient’s appearance completely — and Travolta is a terrific example of the procedure’s power. John Travolta’s hair transplant surgery is believed to have taken place in 2016, and the results cut years off his age. Though approaching his 65th birthday, John Travolta looks younger now than he has in years. His hairline appears natural and healthy, just as it did in his twenties. It’s extremely likely that Travolta chose to have his hair transplant performed using Follicular Unit Extraction (FUE) rather than Follicular Unit Transplantation (FUT). FUE is the most cutting-edge option, offering greater results and less visible scarring. This discretion is obviously crucial for a public figure: any scars or other traces of the surgery would be explored in-depth by news outlets. While it’s clear that Travolta has undergone hair transplant surgery and appears proud to have done so, there’s no doubt he enjoys a degree of privacy too. With that in mind, what is FUE and why is it the superior option to FUT? Follicular Unit Extraction and Follicular Unit Transplantation may sound similar, but they’re actually very different. Let’s take a closer look at each. Follicular Unit Extraction begins with the removal of healthy follicles from donor areas of the scalp, typically the back and sides (which remain unaffected). These are extracted with a specialist state-of-the-art tool, handled with expert care and precision. At HairPalace, our experienced surgeons use the FUE 2 Safe Scribe, a revolutionary device achieving outstanding results (we’ll return to this later). Once removed, the follicles are placed under a microscope and prepared for transfer to the recipient area. The doctor performing the treatment begins to puncture the scalp and implant the grafts. The follicles are inserted in such a way to resemble the patient’s natural hair growth. This creates the kind of authentic results that leaves men thrilled and enjoying a more youthful appearance. Follicular Unit Transplantation is a more dated alternative to FUE. This is far less delicate: an entire strip of tissue is cut from the donor area, rather than removing follicles in individual units. The strip of flesh is sliced into smaller units after extraction, ready for insertion into the recipient areas of the scalp. Tiny punctures are made in these zones, before the grafts are put in place.. The extent of flesh removed from the scalp means FUT is less discrete than FUE, and large scarring tends to occur on the back of the scalp. As a result, anyone undergoing FUT will have to keep their hair at a longer length to hide the scarring at the back of the head. Men from all walks of life and age groups are affected by hair loss. This can have a major negative impact on their lives, leaving them without the confidence they may once have had. Hair transplant surgery can transform their looks and restore the hairline they once had, leading to an improved sense of confidence. However, not all men will feel comfortable discussing their hair loss, particularly with professionals. They may keep their feeling to themselves and avoid seeking treatment, perhaps because they’re unsure how effective it is. When John Travolta and other celebrities undergo hair transplant surgery or discuss their struggle with hair loss, this can empower other men to address their baldness and perhaps look into hair transplant surgery. Travolta’s healthy hairline clearly demonstrates how successful the treatment can be, and may inspire men who have lived with hair loss to take the next step. At HairPalace, our surgeons use the FUE 2 Safe Scribe tool. Created by hair restoration specialist Dr. James Harris, this features a depth-blocking feature that prevents the surgeon handling it penetrating skin on the scalp too deeply. As a result, the healing process is far shorter when using this tool than alternatives. Furthermore, the hair follicles themselves are at a much-reduced risk of being harmed during the transplantation process. If John Travolta’s transformative hair transplant surgery has inspired you to seek hair restoration, please don’t hesitate to contact our friendly team. 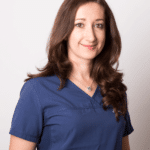 Our procedures are performed in Budapest, by experienced surgeons using the most cutting-edge tools. We’ll provide you with a free treatment plan and you can save up to 50 percent on standard hair transplant costs in the UK. We’ll give you a free quote and arrange a no-obligation consultation for you. We look forward to hearing from you!